ART FAIRS - 2018, Listed in chronological order. (Locations are highlighted in red.) The word "Pending" means the jurying process to get into the show has not been completed. WORKSHOPS, ETC. listed at bottom of page. ****PLEASE NOTE**** Due to a family illness, I have suspended all of my workshops and speaking engagements through at least October 31, 2018. Please check this site after that date for any new events that may have been added. Thank you. Central Kentucky Computer Society, Tuesday, January 26th, 7 pm. The subject of my talk will be my latest book, "Red River Gorge, My Second Home." I hope you will check it out! 160 Moore Drive, Suite 107, Lexington, KY.
McConnell Springs Author Speaker Series, March 14th at 416 Rebmann Lane, Lexington, KY 6pm. I'll be speaking about my book, "Red River Gorge, My Second Home." Go to the newsletter of The Friends of McConnell Springs for additional information. Scott County Public Library hosts a weekend Photography Workshop on March 24-26. Classroom instruction Friday evening from 6:00-8:00pm. Free photographing time, with some field instruction available, on Saturday, March 25th, from sunrise until 2pm in Scott, Woodford, Fayette and Franklin Counties. Saturday afternoon lecture 2-4pm, then photograph until after sunset. Sunday 2pm critique of images. Go to Scott County Public Library Calendar for the registration form and additional information. Limited to 25 students. Cost is free, but you MUST register. 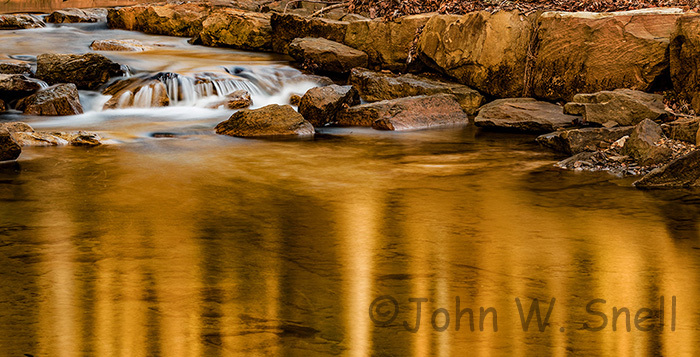 "Developing Your Creative Vision" Photography Class on Saturday, May 13th, from 9:00 a.m. and 3:30 p.m. at Lexington School of Photography, 400 Old Vine (Above Wines on Vine), Lexington, KY. Go to Developing Your Creative Vision Photography Workshop for the registration form and additional information. Limited to 20 students. "Making Sharper Images" Workshop on Saturday, June 10th, from 9:00 a.m. and 4:00 p.m. at Lexington School of Photography, 400 Old Vine (Above Wines on Vine), Lexington, KY. Go to Making Sharper Images Workshop for the registration form and additional information. Limited to 16 students. "The Power of Camera RAW" Workshop on Wednesday, June 28th, from 7-9 p.m. at Lexington School of Photography, 400 Old Vine (Above Wines on Vine), Lexington, KY. Go to The Power of Camera RAW for the contact and additional information. Limited to 10 students. "Weekend Photography Workshop" on Saturday, Sept. 9th from 9 a.m. - 4 p.m. and Sunday, Sept. 10th from 1-5 p.m. at Lexington School of Photography, 400 Old Vine (Above Wines on Vine), Lexington, KY. We'll begin Saturday morning with photo instruction at the school, followed by lunch at Hall's on the River (our treat), then an afternoon field shoot at Lower Howard's Creek, Boonesborough, the Kentucky River and other nearby sites. Sunday, we'll return to the school to practice processing the images using Lightroom and Photoshop. Go to Weekend Photography Workshop for the registration form and additional information. Limited to 10 students. Personal photography instruction and custom digital printing services are available on request. Please call 1-888-310-4560 (toll-free) for information. All images and text Copyright John W. Snell, 1999-2017. This page last updated on August 24, 2018.